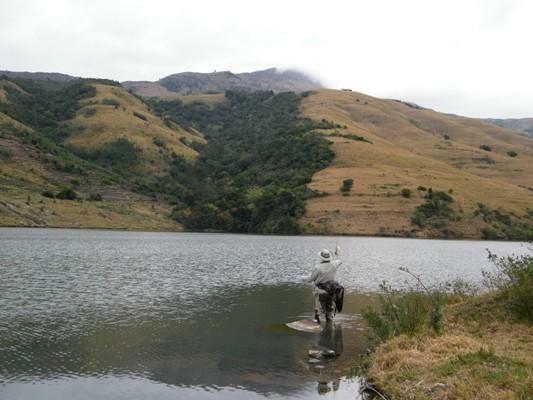 The Border Rural Committee and the Rural Fisheries Programme from Rhodes University have provided the capacity, scientific and technical support for this initiative, which received a SEED award in 2010,(International recognition). 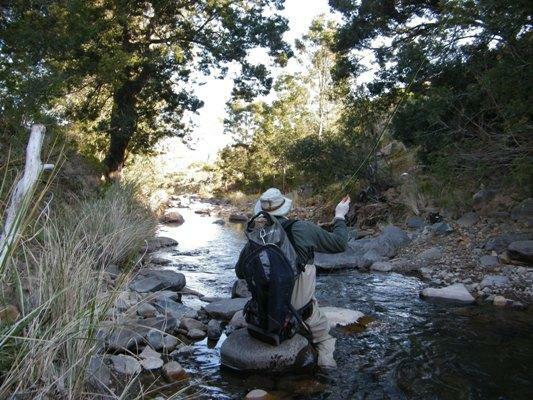 Amatola Wild Trout Fly Fishing, the new community venture, together with the Eastern Cape Regional Chapter of FOSAF,(Federation of South African Fly Fishers), combined to host the Cata River Chairman's Invitational, which will hopefully become an annual event. Last weekend fly fishermen travelled from all corners of the Eastern Cape and gathered at the newly developed Cata accommodation poised at the top of the village with a spectacular view. This was the inaugural event which harboured much anticipation and excitement as we were targeting "wild" trout in the true sense of the word. These fish had been stocked in these rivers in about 1927. 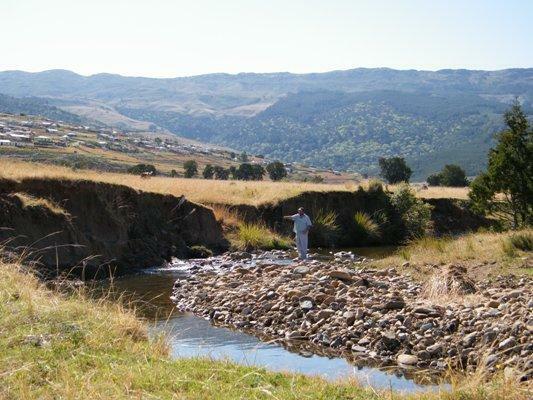 The Cata River holds brown trout, and the Mnyameni Dam has rainbow trout which move up the tributaries feeding the dam, to spawn and sustain a healthy population. Each group of two anglers was allocated a local guide, residents from the villages, who were all Theta accredited guides with home grown knowledge of the area. We fished the lower section of the Cata River on the first day where the work of the Border Rural Committee and the community was clearly evident. The river banks now boast a casing of yellow wood trees which protect the crystal clear water. Fly fishing for wild browns of such pedigree with the sights and sounds of the rural community going about their daily lives leaves one with a sense of home. These were the easy beats as one could at least cast without fear of being hooked up, but that did not mean the fish were any easier to fool. We went home humbled by our inability to work our magic. The next morning we fished the upper beats of the Cata Rver, which is heavily forested, and one spends most of the time buckled under the branches of yellow wood trees fishing upstream which requires an enormous amount of skill. One is limited to doing bow and arrow casts only. The challenge is firstly to see your dry fly offering which flows quickly back at you, while managing your line so that you are in touch with the fly. The reward of mastering this type of wild fishing is mind blowing! One manoeuvres into position stealthily, executing a good cast while watching the fly like a hawk to hook a brown trout, genetically of the purest in the world. The Mnyameni Dam provided an interesting afternoon session with the wind dropping perfectly and almost every insect in the book hatching in abundance. It was the turn of the kick boaters to gloat success as the wind was blowing all the food from the bank. Fishing the different beats of the Amatola wild trout fly fishing waters pushes every angler outside of their box and that is exactly what makes it so alluring and special.